At the start of the Civil War, 10,000 soldiers from Indiana volunteered to serve in the Union military. With Hoosiers needing to prepare for war, Governor Morton declared the new Indiana State Fairgrounds, located on the Old North Side of Indianapolis, as the troops’ training ground and renamed the space after himself. 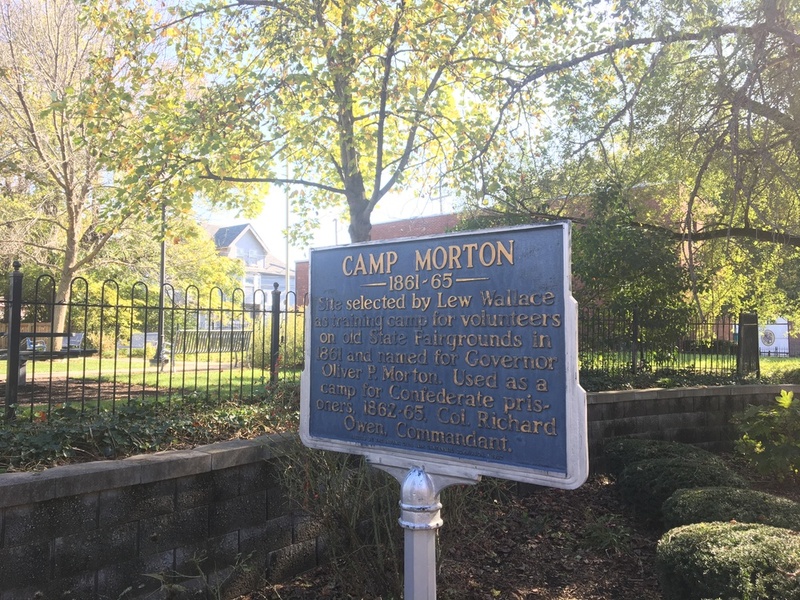 As the war continued into 1862, it became evident that more space was needed to house Confederate prisoners of war, leading the Governor to offer Camp Morton for use as a prisoner-of-war camp. On February 22, 1862, thirty-seven hundred Confederate soldiers captured at the Battle of Fort Donnellson and the Battle of Shiloh arrived in Indianapolis; the camp was designed to hold only 3,000 men. Considering the poor condition in which many of the troops arrived, in addition to Indianapolis’ harsh weather, Camp Morton’s death rate was relatively high--with one hundred and forty-four prisoner deaths in March 1862 alone. Colonel Richard Owen, the camp’s first commanding officer, gained a great deal of respect from the camp’s prisoners for allowing self-government and recreational activities including music and sports. After Owen’s departure for a battlefield position, morale and the physical conditions at the camp decreased dramatically until the camp and soldiers’ care was handed over to the federal government in 1863. From its opening in 1862 to the last prisoners paroled in June 1865, almost 17,000 prisoners died while being held at Camp Morton. In 1868, the State Fair returned to the site and continued to use the grounds until 1891 when the land was platted for residential use and the fair moved to its present location near 38th Street and Fall Creek Parkway. What used to be the area used as Camp Morton is now the Herron-Morton Neighborhood, a historic preservation district since 1986. For more information on the neighborhood, check out Carving Out a Community Space: Herron-Morton Neighborhood here on Discover Indiana! 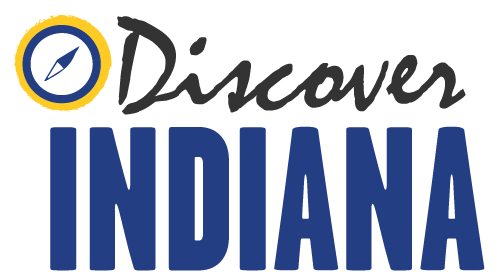 Indiana Division of Historic Preservation and Archaeology, “Camp Morton,” Discover Indiana, accessed April 25, 2019, https://publichistory.iupui.edu/items/show/259.